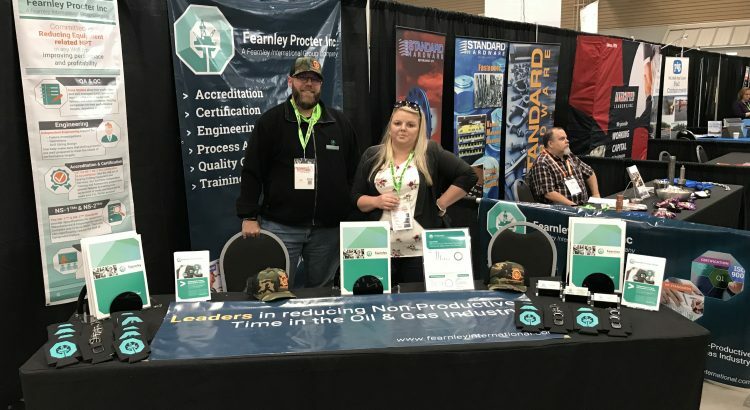 As Fearnley Procter Inc, we made our first big push to gain more visibility in the Permian Basin, building on our existing Occidental contract for QA/QC Services. We partnered with Roseland Oil and Gas to participate in the 4th annual golf tournament and trade show. We entered 2 teams in the tournament representing Anadarko, Leam, Premier Pipe and Supply, Quail, and Trinidad Drilling all under the Fearnley Procter Inc team name. Both teams shot 9 under par with the scramble format. Obviously we were too honest as neither team placed! We sponsored a hole and gave away a Tailor-made driver. The ladies running the hole did a fantastic job getting people to participate. Troy Blackburn of Ensign won the driver! He picked it up from us at the trade show two days later. He was so excited, he carried it around the trade show showing it off.